A maestro of startling documentary reinvention, Brazilian artist Kika Nicolela, part-time community saviour and veteran of internationalist fringe movie showcases, returns to Toronto to present three of her most prescient encounters. At each turn she finds a way to shine a light onto forgotten faces, the lives of trans women, and the indomitable Marquise of Santos, a larger-than-life figure who courted controversy and royal privilege. Antonia Kuo and Lily Jue Sheng are visiting artists from Brooklyn collaborating at LIFT from July 4 to August 17. 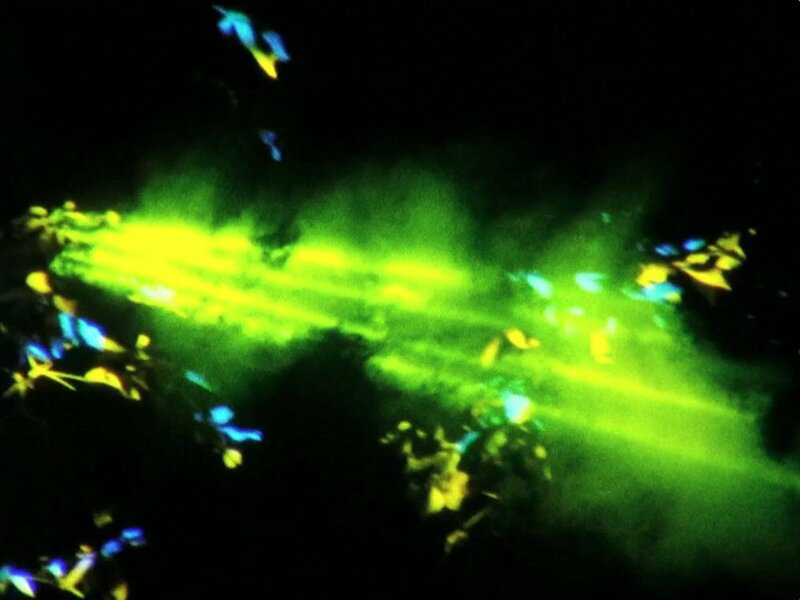 This screening will present a number of their single and dual channel 16mm films—including Chromoflux, Seeing Double and Point, Line, Plane—as well as showcasing the work that they've done while in residency at LIFT. 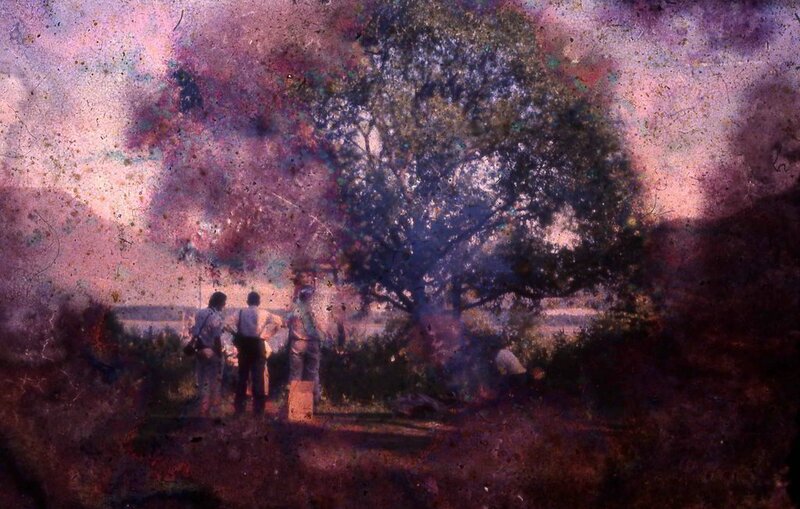 Their films explore the fleeting temporality of an immersive optical experience, emphasizing oscillating, flickering compositions that exploit the frame-by-frame structure of 16mm film through in-camera and stop-motion collage animation and mirror the visual world of their parallel practices in print-making and photography. 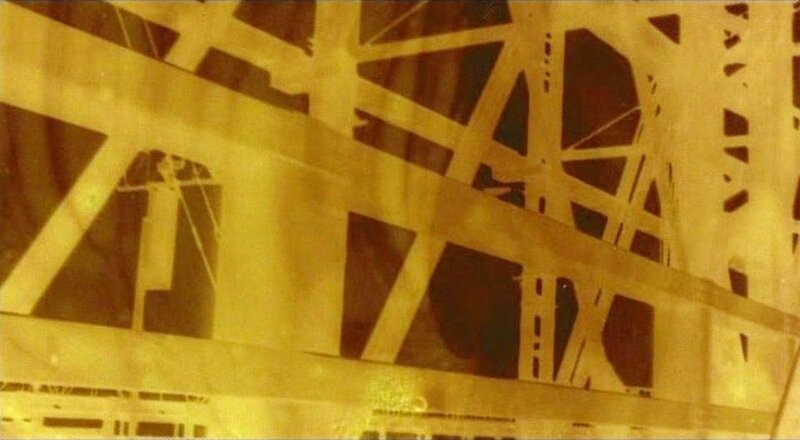 The frenetic pace of shifting abstractions create visual unrest, mirroring the unstable flux inherent in natural systems, spanning all scales of matter. 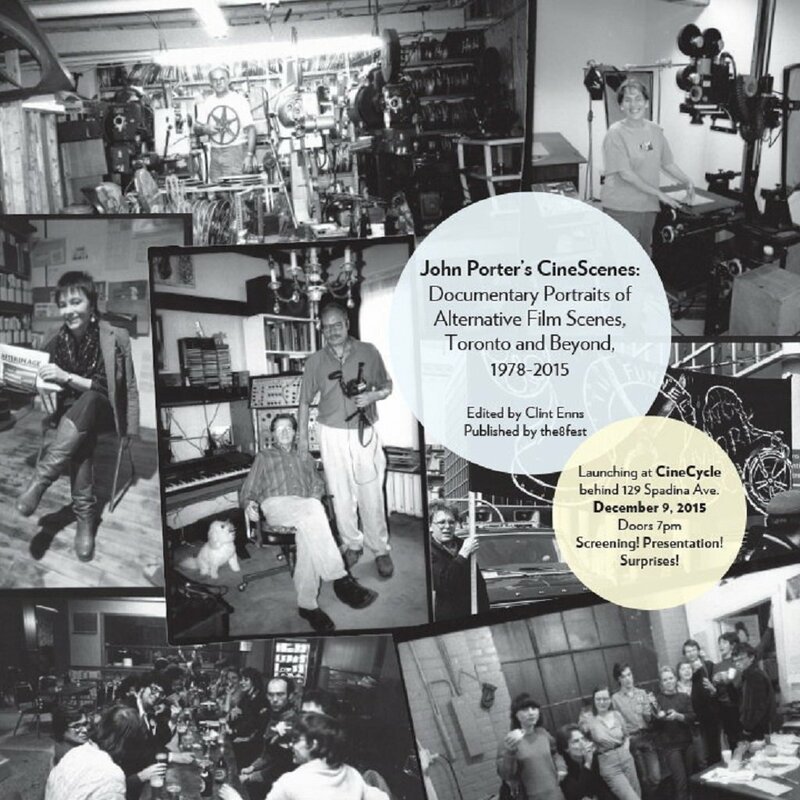 About the book:John Porter’s CineScenes is the first volume to spotlight Toronto native John Porter’s legendary photographs of alternative film culture – its “celebrities,” places, and rituals – taken across a span of nearly 40 years. This soft-cover, 144-page book features over 200 beautifully reproduced b&w and colour photos by Porter, and includes essays by Scott MacDonald, Nicole Gingras, Dot Tuer, and Tess Takahashi. 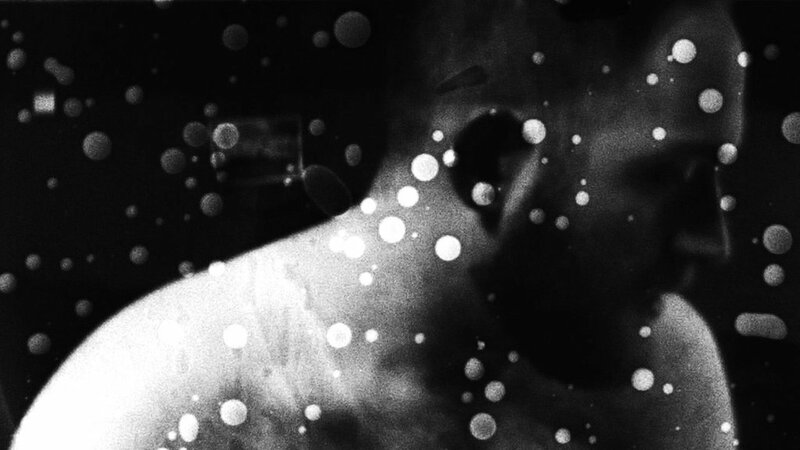 Radiant Bodies is a collection of moving image works that explores the intersections between the human body and the radiant properties of cinema. Through hand-made techniques that focus on the materiality of moving images, each of these works underscore the invisible ways in which the world imprints upon human, and other, bodies. Photographic images are dependent on light, and could not exist without the ability to receive and transmit energy that then forms realistic images. However, radiant energy can be simultaneously damaging. 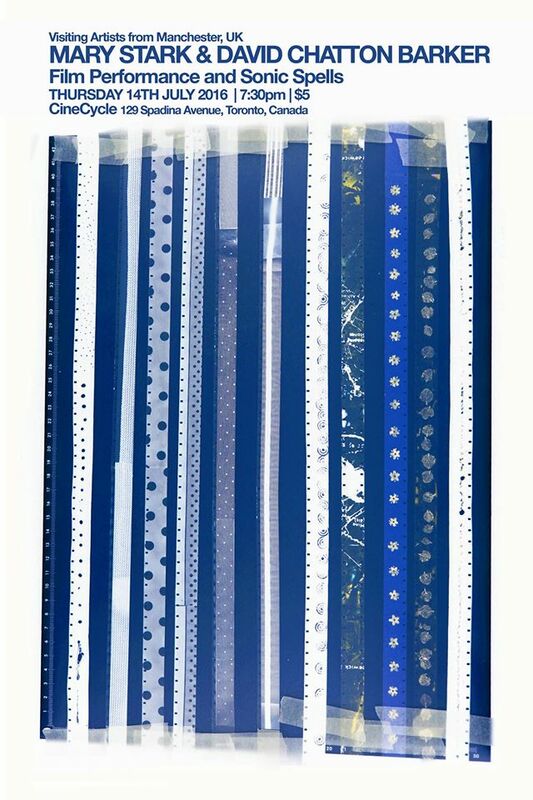 Unprotected negatives and photo-paper become blackened and useless, magnetic waves warp video images, and incorrect exposure in camera similarly destroys photographic information in film, analogue or digital formats.